A flat of ‘Jeana’ phlox sits in my greenhouse ready to plant as soon as the weather cooperates. Possessing outstanding mildew resistance of shades of lavender-pink flower clusters, this native phlox is a star in my garden and always draws a lot of interest from visitors. Pollinators cluster around the heads constantly, providing a show for weeks in the mid-summer, and giving me lots of photography opportunities. Ranking at the top in ecological and horticultural trials, this plant should be in many more gardens. Just listen to this rave review from Mt Cuba Center in Delaware who has trial gardens testing for usefulness, beauty, and pollinator visits. A taller flower topping out at 4′ to 5′, I love grouping these plants for a big show of flowers plus pollinators. Sometimes staking or some kind of support is necessary, like helpful supporting plants surrounding your clump. One of the only phlox paniculatas that I know tolerating deer browsing, it is a useful landscape plant for the perennial border. The lavender pink shade goes well with many other colors and the plant behaves and doesn’t spread aggressively. Where to purchase ‘Jeana’ Phlox? At Independent Garden Centers and Nurseries, and more than likely, the plant will have an American Beauties hang tag identifying it as a native plant choice. For local people in Baltimore County, Maryland, go to Valley View Farms. You know you are making a good environmental choice for your garden. American Beauties Native Plants is a great resource for home gardeners with a Native Plant Library on-line. 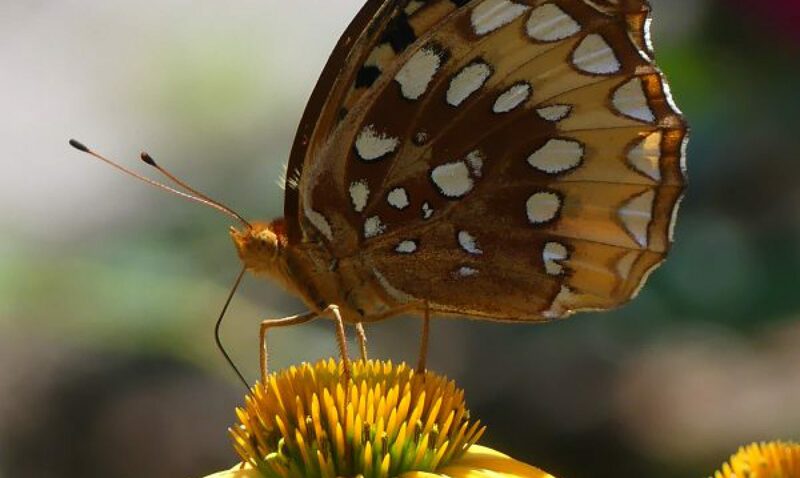 Native perennials, grasses, vines, trees and shrubs which attract wildlife and pollinators especially are listed in an easy to use resource guide. Listed by common name or botanical name, you can scroll through the many possibilities available for planting. I find the Plant Search, where you can plug in your state and specify what kind of plant that you are looking for, is most useful to me. The web site even has landscape design plans using natives for every area of the U.S. for sun or shade. Hope I can find some in Canada! Sounds like a winner, Claire – I’ll be adding this one to my list for the new west border.